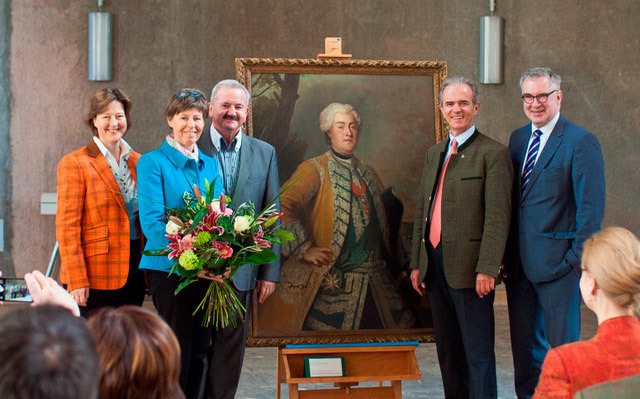 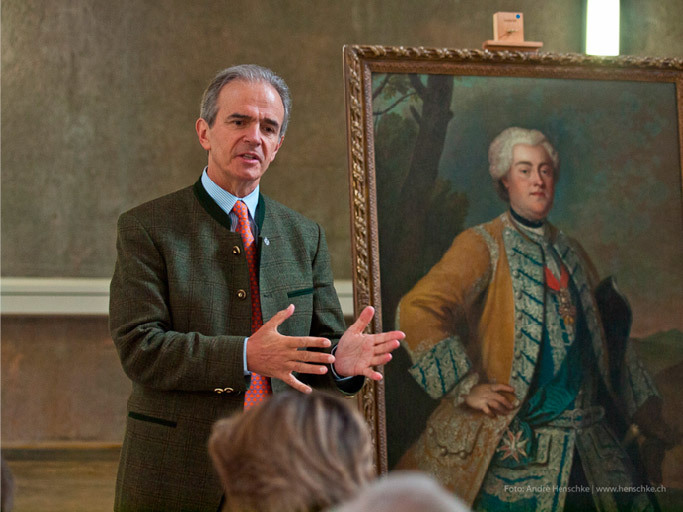 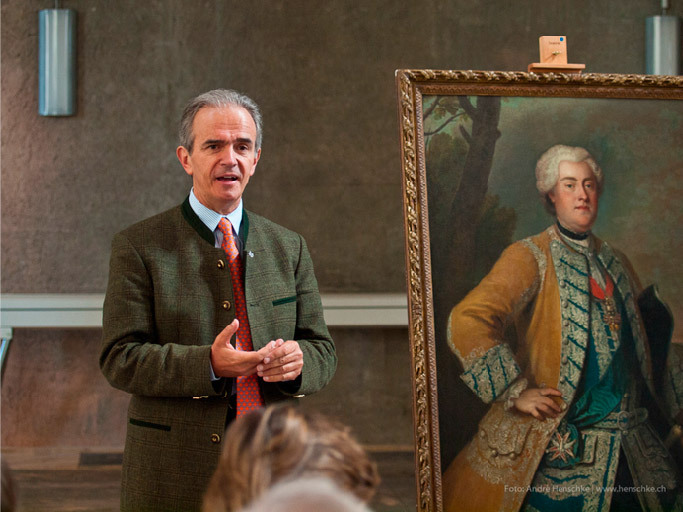 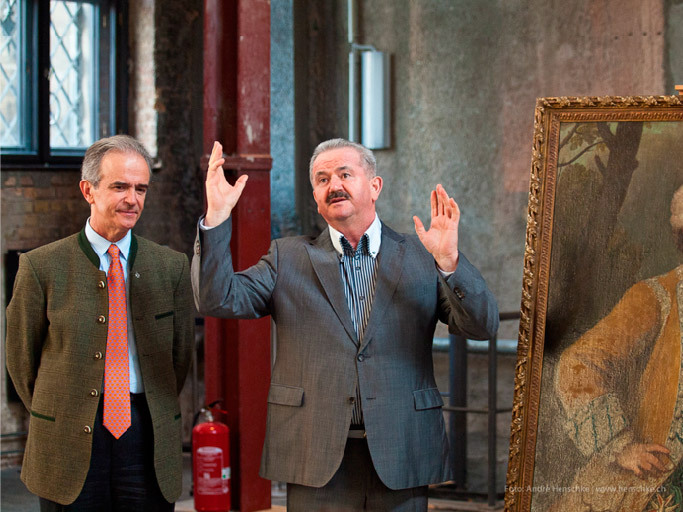 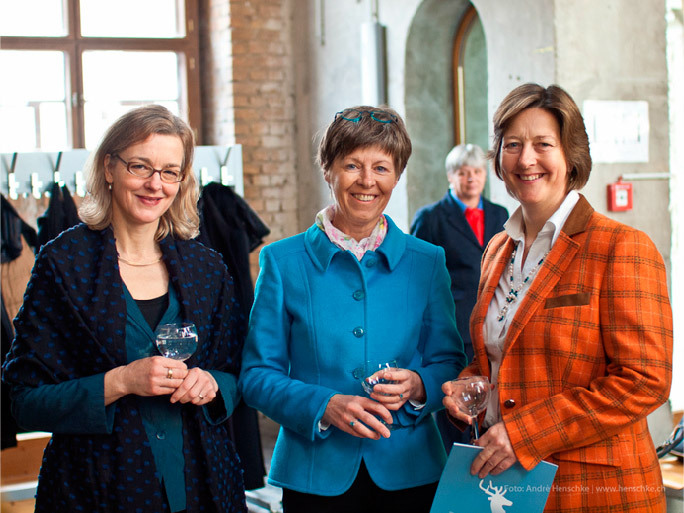 A valuable painting by the French painter Louis de Silvestre was handed over to the Dresden State Art Collections by The Margrave of Meissen in his capacity as President of the Friends of the Green Vault on Saturday 8th of February 2014. 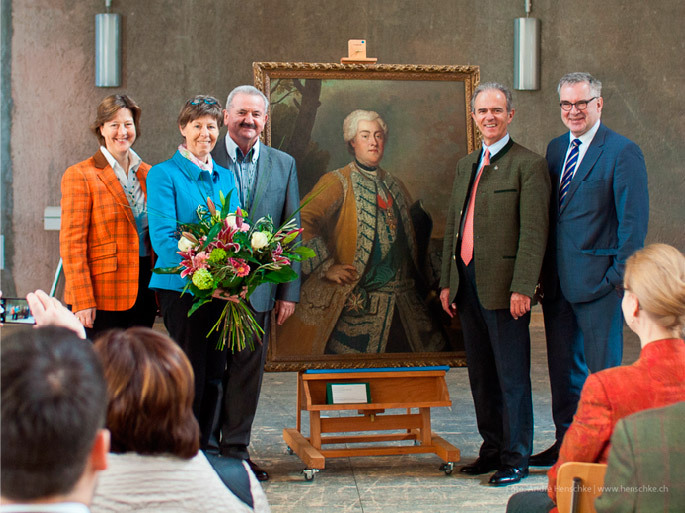 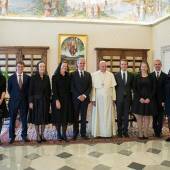 The acquisition of the painting was made possible by Professor Reimund Neugebauer, President of the Fraunhofer Society and a member of the Friends of the Green Vault. 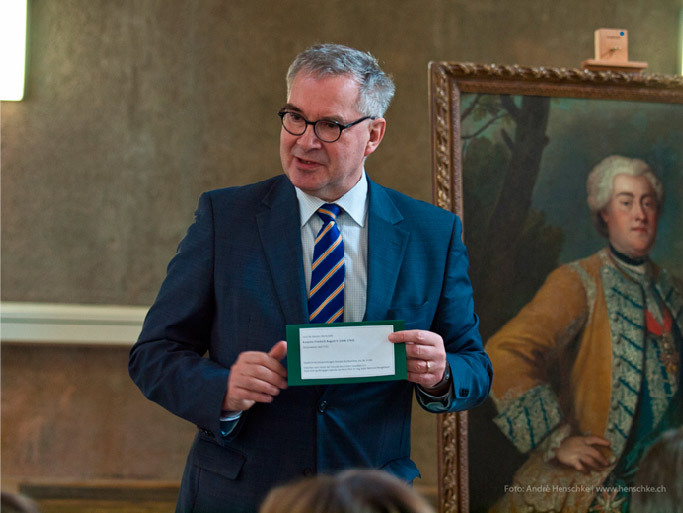 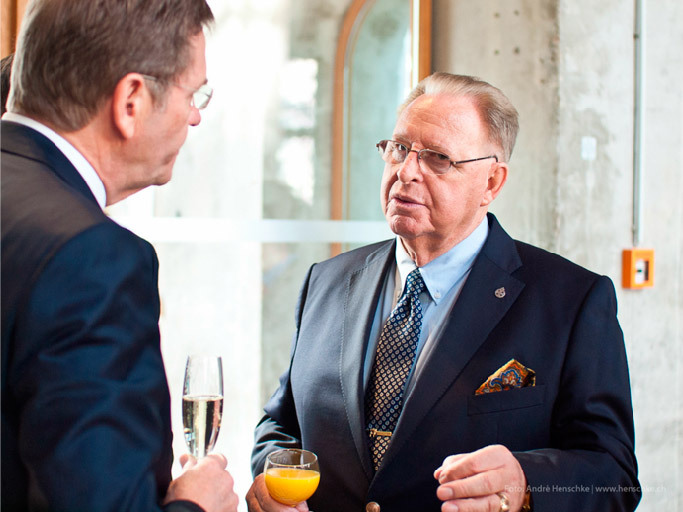 Professor Reimund Neugebauer initiated the collection of donations on the occasion of his 60th Birthday last year in favor of the Association of Friends of the Green Vault and enabled the purchase of the artwork. 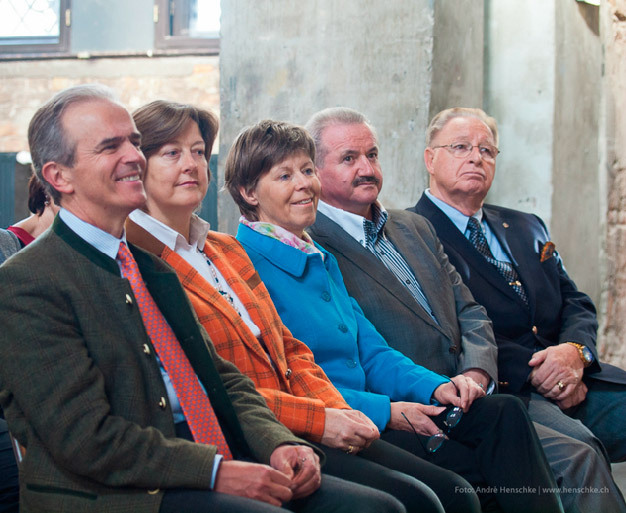 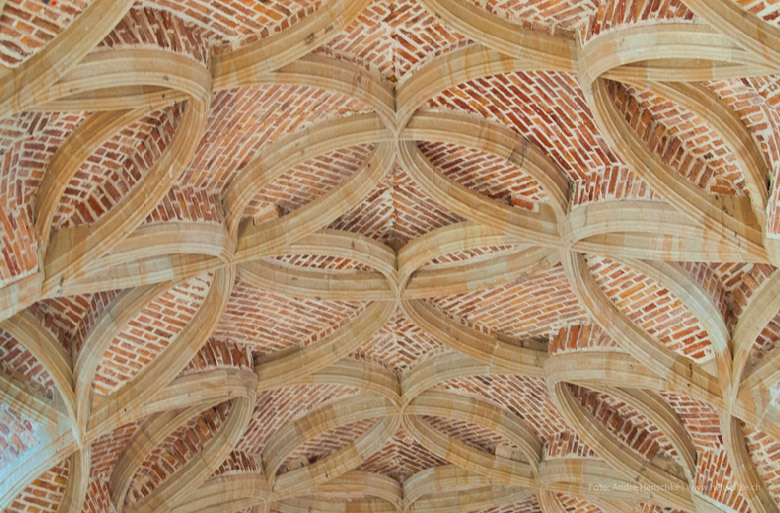 Members of the Friends of the Green Vault and guests from industry and society assisted at the handover ceremony in the restored Heinrich Schütz chapel on Saturday morning. 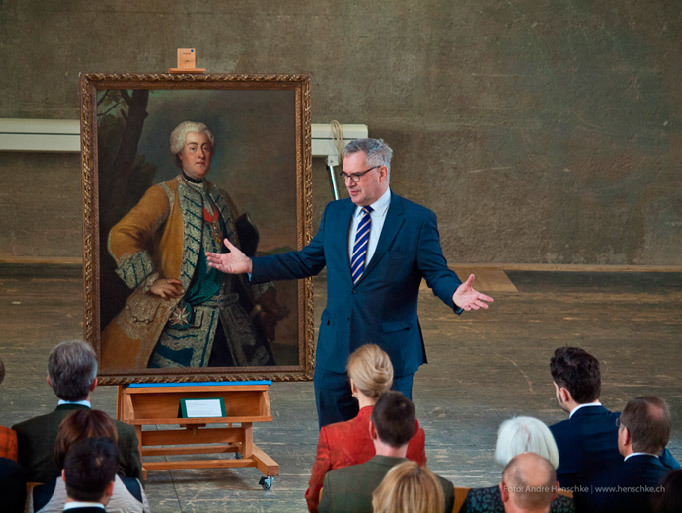 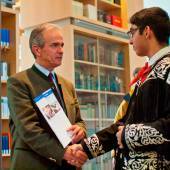 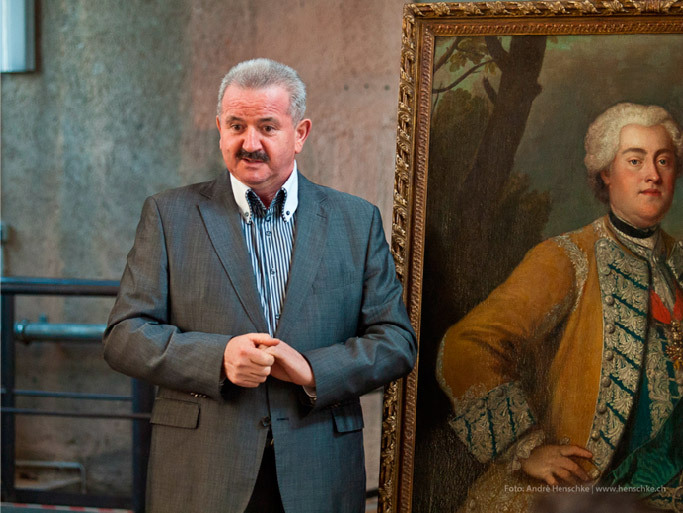 Professor Dirk Syndram, director of the Green Vault, the Armory and the Royal Palace, the received the portrait officially. 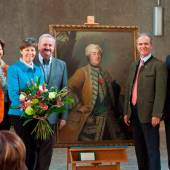 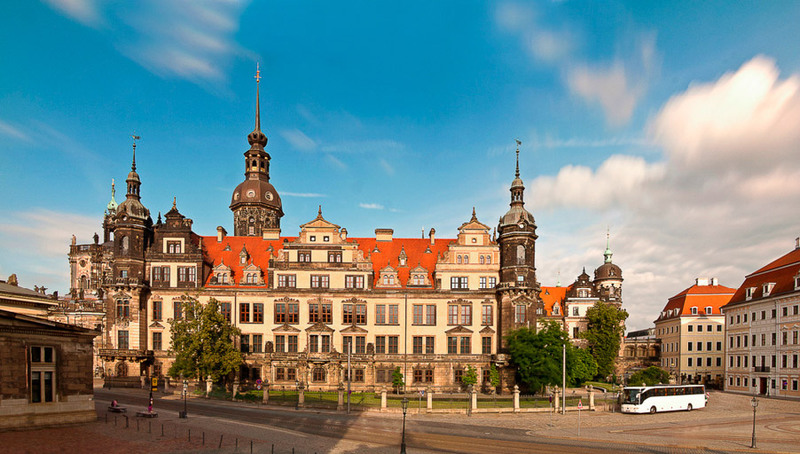 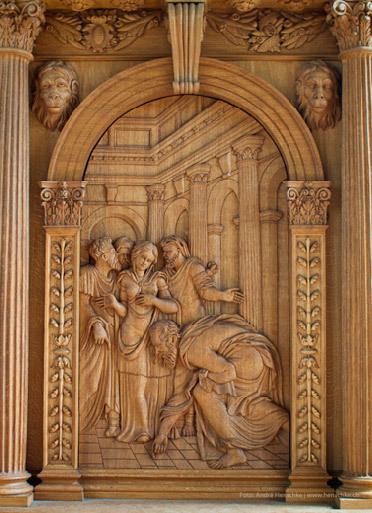 It will find its place in the newly restored rooms of the Dresden Royal Palace. 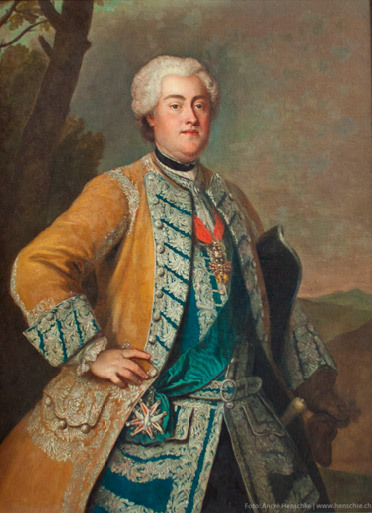 This 1.5 x 1 m large painting depicts Friedrich August as Crown prince ( later Elector Friedrich August II of Saxony and as King of Poland, Augustus III. ) 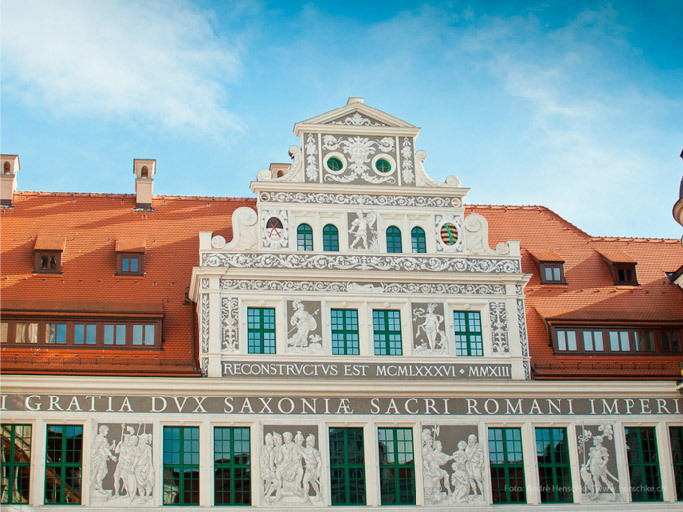 on 1730. 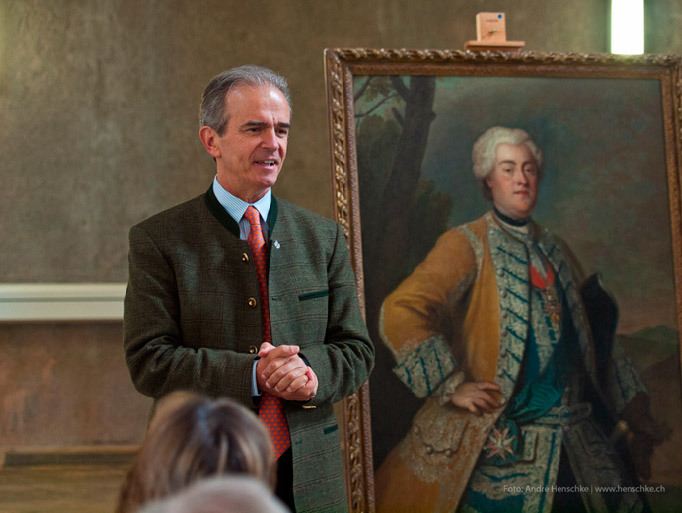 Elector Friedrich August is portrayed in the colors yellow and blue, the colors of the Saxon Par-force Hunting in the surroundings of Hubertusburg Castle. 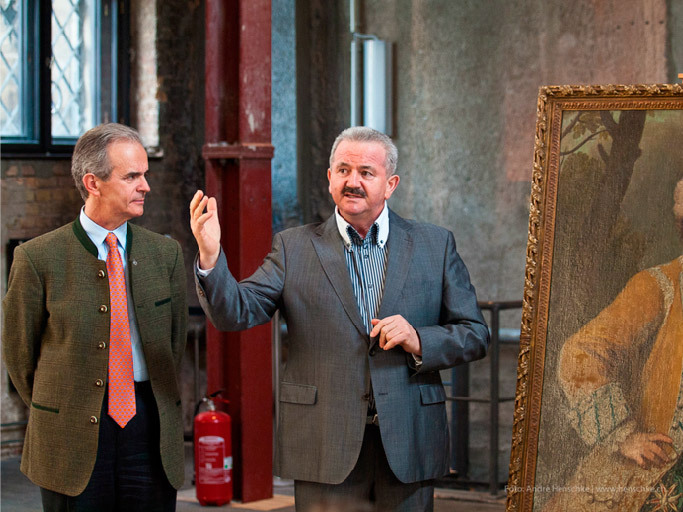 The Association “Friends of the Green Vault” support the unique collection of the Green Vault in the new era and help to preserve and to expand this unique testimony of world culture in the 21st Century. 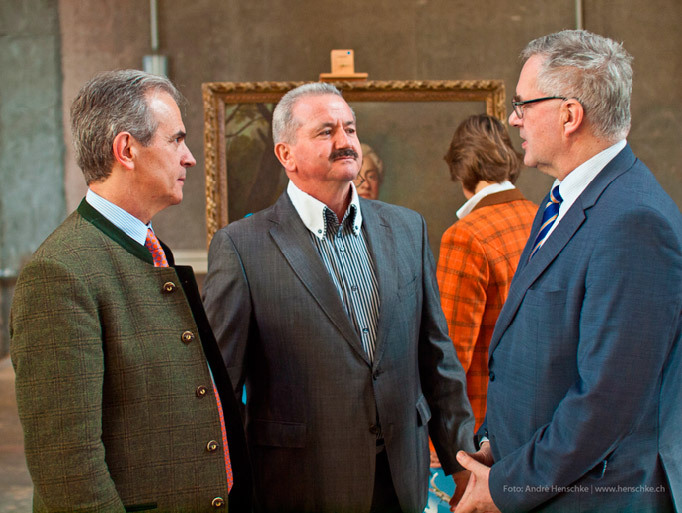 The “friends” support the further exploration of one of the best preserved collections of European history and have the goal to show it to as many visitors possible. 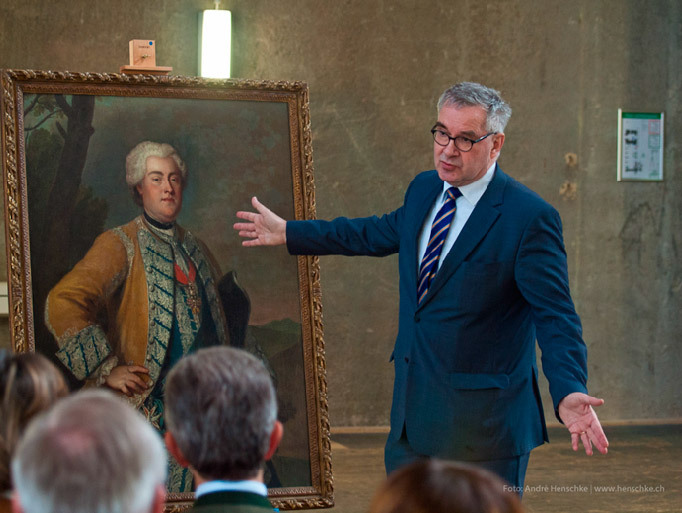 In recent years, the association was able to purchase various high quality works of art funded by generous donations and lend them on long term to the Dresden Collections.